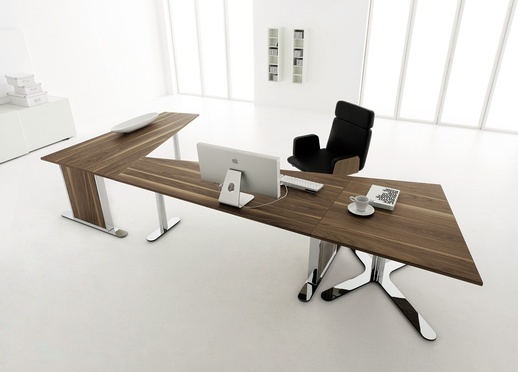 This office desk is very attractive because of its height can be adjusted, this is office furniture a collection of hulsta. 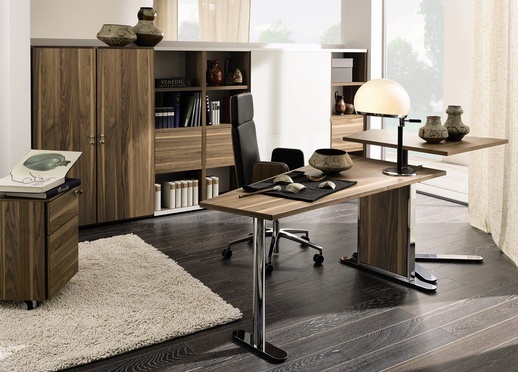 Equip your home office decor with this table, for decorating the room with dark wood brown colors make the room look more comfortable. Room with wood floor design in accordance with table and storage shelves of books that have similar colors and materials. 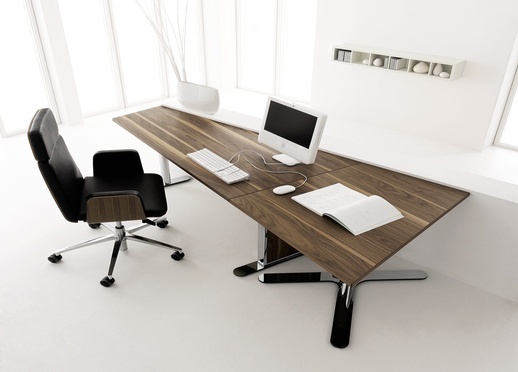 This walnut table laying anywhere in your office, can be placed oblique or in the middle of the room. 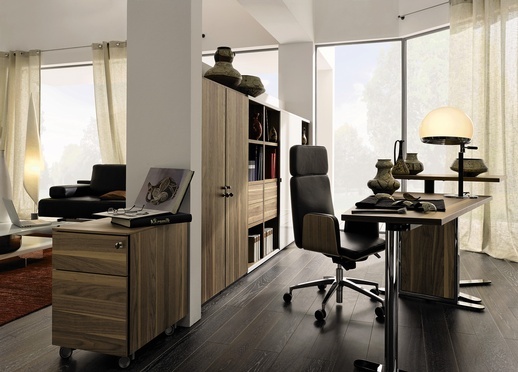 By setting a good design looks like comfortable office space. In this table the gas pressure mechanism means you can adjust the height of the table for every setting from 72 to 115.5 centimeters. 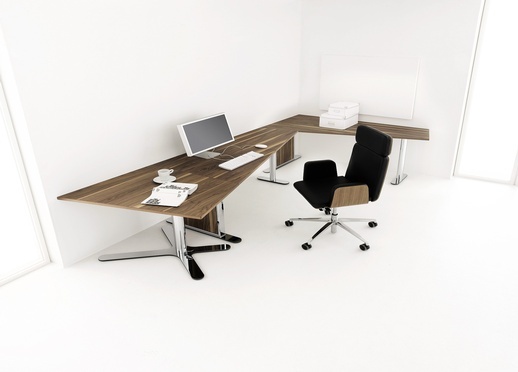 This table can be combined with models B, C, D, E and F. Substructure table comes in four different versions of an optional surface. 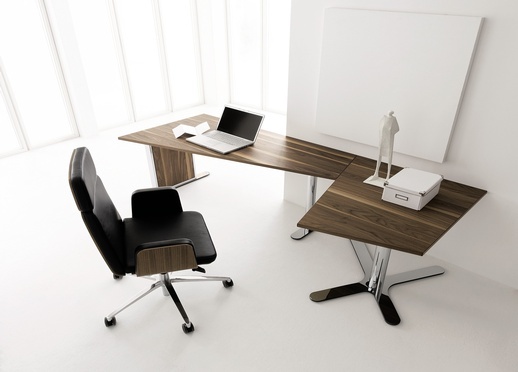 Given these settings, table and chairs can be adjusted by the wearer, for a convenience that will support the work productivity. For more information please visit hulsta.